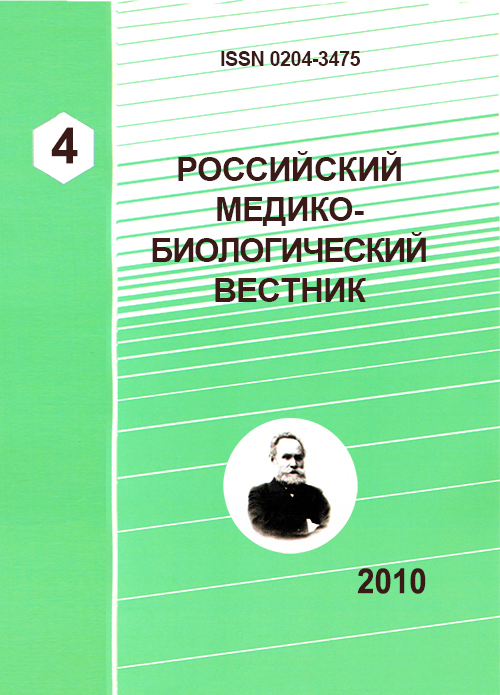 Authors: Sergeeva V.A., Shabalov N.N., Aleksandrovich Y.S., Nesterenko S.N., Sergeeva V.A., Shabalov N.P., Alexendrovich Y.S., Nesterenko S.N. The fetal inflammatory response syndrome associates with inflammation in placenta which expansion determinates the course of neonatal period. The authors show the role of the inflammation of the fetal part of placenta in the development of systemic fetal inflammatory response syndrome, endothelial activation and neuro-endocrine-immune imbalance. It is possible to conclude that this disorders play important role in manifestation of the clinical symptoms of antenatal infection in the early neonatal period. sICAM-1, fetal inflammatory response syndrome, endothelial dysfunction, interleukin-8, sICAM-1, sE-selectin, TSH, CRP, chorioamnionitis, funicitis. Неонатология: Учебное пособие. 4-е изд., испр. и доп. Под ред. Н. П. Шабалова. М.: МЕДпресс-информ, 2006. Lee S.E., Romero R., Jung H., et al. The intensity of the fetal inflammatory response in intraamniotic inflammation with or without microbial invasion of the amniotic cavity. Am J Obstet Gynecol 2007; 197:294.e1-294.e6. Barns S.M., Fundyga R.E., Jeffries M.W., et al. Remarkable archael diversity detected in a Yellowstone National Park hot spring environment. Proc Natl Acad Sci USA 1994; 91:1609-1613. Yoon B.H., Romero R., Kim M., et al. Clinical implications of detection of Ureaplasma urealyticum in the amniotic cavity with the polymerase chain reaction. Am J Obstet Gynecol 2000; 183:1130-1137. Yoon B.H., Park C.W., Chaiworapongsa T. Intrauterine infection and the development of cerebral palsy. BJOG 2003; 10:124-127. Felice C., Capua B., Constantini D., et al. Recurrent otitis media with effusion in preterm infants with hystologic chorioamnionitis - A 3 years infants follow-up study. Early Human Development 2008; 84:67-671. Karrow N.A. Activation of the hypothalamic-pituitary-adrenal axis and autonomic nervouse system during inflammation and altered programming of the neuroendocrine-immune axis during fetal and neonatal development: Lessons learned from the model inflammogen, lipopolysacharide. Brain, behavior, and Immunity 2006; 20:144-158. Перинатальный инфекции: Практ. пособие/ Под. ред. А.Я. Сенчуева, З.М. Дубоссарской. - М.: МИА, 2005. - с. 10-12. Redline R.W. Inflammatory responses in the placenta and umbilical cord. Semin Fetal Neonatal Med 2006; 11:296-301. Yoon B.H., Romero R., Kim C.J. et al. Amniotic fluid interleukine-6: a sensitive test for antenatal diagnosis of acute inflammatory lesions of preterm placenta and prediction of prenatal morbidity. Am J Obstet Gynecol 1995; 172:960-970. Sampson J.E., Theve R.P., Blatman R.N. et al. Fetal origin of amniotic fluid polymorphonuclear leukocytes. Am J Obstet Gynec 1997; 176:77-81. Watenberg K.L., Demers L.M., Scott S.M. et al. Chorioamnionitis and early lung inflammation in infants in whom bronchopulmonary dysplasia develops. Paediatrics 1996; 97: 210-215. Maxwell N.C., Davies P.L., Kotecha S. Antenatal infection and inflammation: what's new? Curr Opin Infect Dis 2006; 19:253-258. Miralles R., Hodge R., McParland P.C., et al. Relationship between antenatal inflammation and antenatal infection identified by detection on microbial genes by polymerase chain reaction. Pediatr Res 2005; 57:570-577. Scanlon J. The early detection of neonatal sepsis by examination of liquid obtained from the external ear canal. J Pediatr 1971; 79:247-249. Goldenberg R.L., Andrews W.W., Hauth J.C. Choriodecidual infection and preterm birth. Nutr Rev 2002; 60:S19-S25. Kim C.J., Yoon B.H., Romero R. et al. Umbilical arteriitis and phlebitis mark different stages of the fetal inflammatory response. Am J Ostet Gynecol 2001; 185:496-500. Gomez R., Chezzi F., Romero R. et al. Two thirds of human fetuses with microbial invasion of the amniotic cavity have a detectable systemic cytokine response before birth. Am J Obstet Gynecol 1997; 176:514. Salafia C.M., Weigl C., Silberman L. The prevalence and distribution of acute placental inflammation in uncomplicated term pregnancies. Obstet Gynecol 1989; 73:383-389. Goldstein B., Giroir B., Randolph A. et al. International pediatric sepsis consensus conference: definitions for sepsis and organ dysfunction in pediatrics". Pediatr Crit Care Med 2005; 6 (1): 2-8. Глуховец Б.И., Глуховец Н.Г. Патология последа. - СПб. : ГРААЛЬ, 2002. Copyright (c) 2010 Sergeeva V.A., Shabalov N.N., Aleksandrovich Y.S., Nesterenko S.N., Sergeeva V.A., Shabalov N.P., Alexendrovich Y.S., Nesterenko S.N.